DJ or a band for your wedding party? Certainly one of the most classic wedding dillemas with no universal answer to it. For a fact there are both advantages and disadvantages to one and another option. In the end, it’s all about the bride’s and the groom’s preferences. The decision should be yours – and yours only, and it shouldn’t be influenced by what your friends or family members desire. Furthermore, don’t get mislead by your married friends who’ll always be convinced that their decision was the best. Honestly, I am not surprised that many brides fall in love with every single detail of their wedding and surely this (in most cases) is one of the most perfect days of their lives. 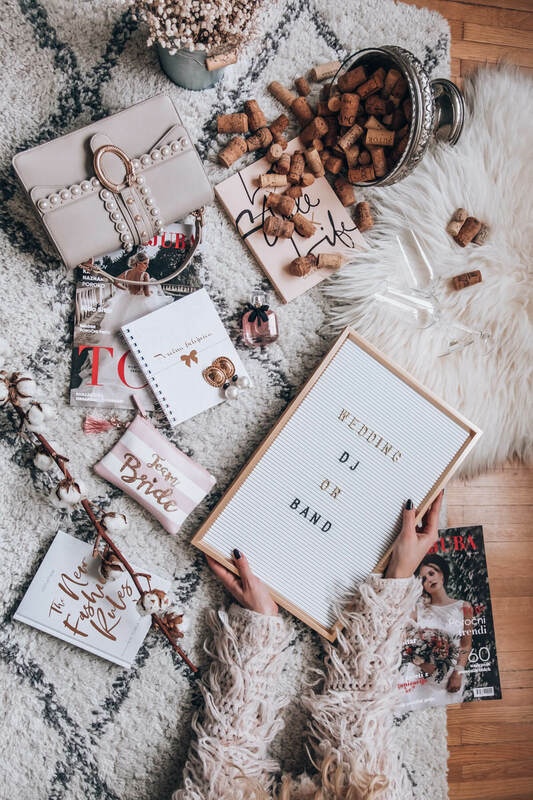 But the wedding is yours (and it’s very likely it will be your first and last wedding) so even though you want to please your guests, the most important thing is that the two of you are enjoying your special day. There are pros and cons to both options and the decision is yours! ATMOSPHERE: The music you choose for your wedding will have a significant impact on the atmosphere of your wedding, and surely your guests will remember your wedding by the music played there, too. Think about the genres that you like, reflecting your personality and the kind of atmosphere that you want to create. Do you want a romantic touch of the 60s? Wild mainstream or retro #TBT dance music? Will you focus on home music or foreign artists? The combination of the two? SONGS: One of the most common tips for choosing the wedding music is to start creating a music list as soon as possible. This way, you’ll know what kind of song repertoire you desire and will have it easier finding an artist. It is certainly worth bearing in mind that a good choice is a combination of more peaceful songs with the more energetic dance songs that will encourage your wedding guests to rock the dancefloor. 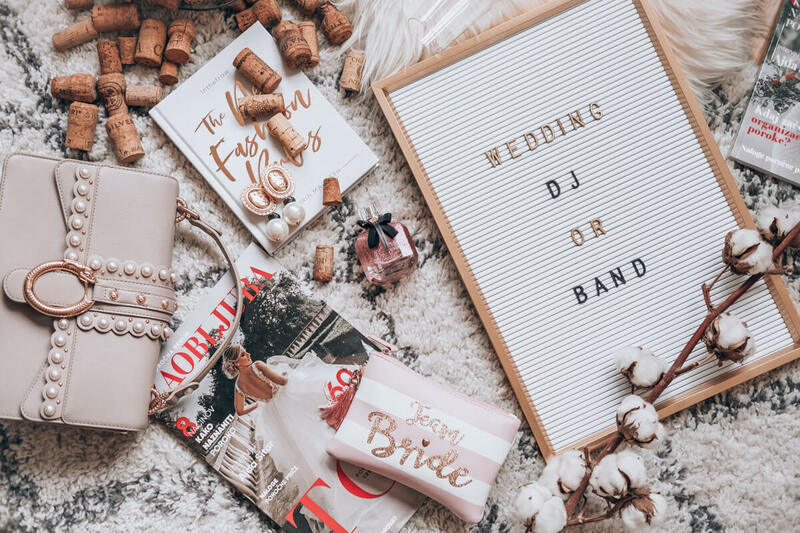 COSTS: Usually you’re limited on your wedding budget and a part of it has to be dedicated to a band or a DJ. The prices here can vary greatly, but on average, the DJ will cost you less than a band (especially if it’s a well-established band with more band members). The price also depends on the number of hours performed by the artists and whether your wedding date falls into a “high season” or not. SPACE RESTRICTIONS: It’s wise to figure out whether the venue can welcome a band or a DJ before booking it – to avoid surprises later on. There are some important questions that need to be answered in advance, for example: What are the electricity restrictions? Are there enough plugs nearby? How many band members can perform at the same time without any particular difficulties? What are the time restrictions for loud music, etc.? They say that a good band can create a wonderful atmosphere, but the same goes for a good DJ. In regards to the price, a DJ is almost always a cheaper option – the prices in Slovenia for a band are often over 1000 euros, usually ranging from 1200 to 4000 euros and for a DJ somewhere between 500 and 1000 euros (for the same period of time). 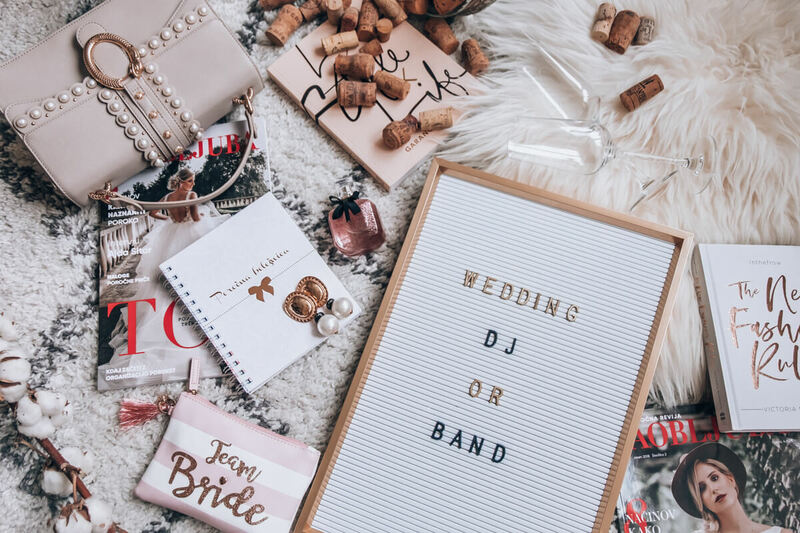 Bear in mind, that the bride and the groom usually take over the food and drinks expenses for the performers as well (same applies to other staff present at the wedding, such as a photographer, cameraman, wedding planner, etc. ), meaning that a six members band means six additional dinner menus, while a DJ is usually one. The biggest plus of having a DJ is the fact that his repertoire is much wider than the repertoire of the band. I suggest you talk to your band in advance and discuss the list of songs you’ve had in mind (same applies to DJs as they also have some limitations). However, you must be aware that the performance of the band will always be different from the original version of the song. Once again, the DJ gets a plus point here – because he can switch from Ed Sheeran to Adele (who in my opinion has to be played in original version) in a matter of seconds. Before signing the contract check whether the selected DJ or band offers any entertainment materials – for example, if you can use their microphones for the speeches or if they use any other equipment such as lights or any special effects. Also check how often the performer usually takes a break and what can you do in this case in order not to kill the party. Why did we decide for a DJ in the end? Although the DJ or band dilemma is one of the most difficult ones, Jan and I decided quickly that we would prefer to have a DJ. Jan absolutely hates poor music performances of foreign authors and we both quickly hear the missed tones, which is very silly considering the fact that we’re both tone-deaf. What we wanted were the original song version and a wide variety of songs. Our guests come from all over Slovenia, there are many young guests but of course there are also the older family members, there are some that listen to the classical philharmonic orchestra music, some that get entertained with songs from Modrijani (Slovenian folk band) and others who enjoy dancing to the beats of ex yugo music (or Severina for that matter). Therefore, we were looking for a solution that fulfills our wishes and opens the dancefloor with timeless foreign songs, slowly creating an atmosphere with both foreign and Slovenian songs, according to our taste (take our guests’ taste into consideration, of course). Therefore, I found a perfect match to our needs with my friend’s recommendation for B&B DJ team composed of two DJs, which also provide the sound system and the lighting of the space. When we first met, I delighted in their energy (which is really important to me), because I consider a performer also someone who’s in charge of the overall atmosphere and should make an unforgettable party. The B&B DJ team can join any location in Slovenia, bringing their equipment (everything from speakers, microphones, lights and devices to create an artificial fog). The advantage is also receiving two DJs, which means that there are no breaks and the party never stops. The decision is yours, think thorougly about the pros and the cons and ultimately choose the option you feel most comfortable with. A good choice can also be a combination of both – a band in the beginning of the night and then the DJ takes it over. We’re still considering the idea of hiring a band to play a few songs during the ceremony and that is going to play a song for us while I’m walking down the aisle towards Jan. If we find a performer who’ll meet our needs, we’ll decide for that option and if not – we’ll trust our music atmosphere to the B&B DJ team.